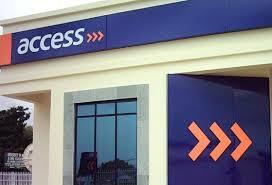 Access Bank on Monday has signed a subordinated syndicated Loan agreement worth $162.5 million (N58.18 billion) to promote growth and job creation. The money would be used to support Micro, Small and Medium Enterprises (MSMEs). The bank’s Spokesman, Abdul Imoyo, said in Lagos that the facility was arranged by FMO, a Dutch development bank, and was provided together with BIO, a Belgian Investment Company for Developing Countries. Others include Blue Orchard Microfinance Fund, CDC Group plc, DEG (Deutsche Investitions- und Entwicklungsgesellschaft mbH), Finnfund (Finnish Fund for Industrial Cooperation Ltd), Oikocredit (Ecumenical Development Cooperative Society U.A). Also, European Financing Partners S.A, funded by the European Investment Bank, is acting on behalf of the European Community and Norfund (Norwegian Investment Fund for Developing Countries). According to the bank, FMO acted as the mandated lead arranger and will be the facility agent. It said the facility would qualify as Tier-II capital, which would enable Access Bank to roll out its five-year strategy of becoming Africa’s gateway to the world. Access Bank noted that part of the strategy was also to deepen the footprint in the retail segment as well as increasingly support local Micro, Small, and Medium-size Enterprises (MSMEs). It said this would thereby support job creation in the Nigerian economy. Speaking on the transaction, Herbert Wigwe, Group Managing Director and Chief Executive Officer at Access Bank, said the management was pleased to have worked with a world-class group of lenders on the transaction. He said that the deal further reinforced the fact that the institution remained globally respected and with good reputation. The syndicated facility was to support the bank’s efforts to promote the growth and job creation potential of the private sector through improved access to financing. “Additionally, specific attention will also be paid to strengthening Micro, Small and Medium-size enterprises as many have been held back due to a lack of access to finance. Linda Broekhuizen, Chief Investment Officer at FMO, said FMO was proud to be the mandated lead arranger for this landmark transaction. Broekhuizen said: “Through this transaction, FMO strengthens its long-standing relationship and commitment to our well-reputed client Access Bank.